A1 Exports is a joint venture includes many professionals who have a wealth of experience in the cattle and dairy farming industry. 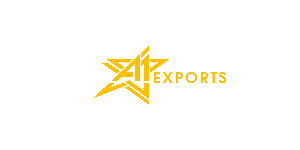 A1 Exports is a USA-based company offering cattle sourcing, exporting, financing, consulting and brokering services to dairy farms around the globe. A1 Exports has organized a consortium of seasoned specialists, such as veterinarians, livestock specialists, and management professionals, who help facilitate all of our shipments. A1 Exports works closely with the U.S. Department of Agriculture (USDA). The USDA's Animal Plant Health and Inspection Service are responsible for the development of health protocols which establish the requirements for exportation of any genetic material to a specific country. There are always issues concerning safeguarding against the exportation of certain diseases to foreign countries. Since opinions regarding the significance of conditions and the means in which to protect against those diseases can differ. A1 Exports believes that health protocols must be practical to allow the exportation of live animals at the reasonable cost. A1 Exports is committed to understanding the needs of each individual customer and then sourcing and delivering quality Dairy Cattles in accordance to those needs while at the same time implementing management and transportation practices in accordance to the highest animal welfare practices. Our trustable partners work with us through our channels. International group of companies always needs the right professionals to work with. USA Dairy Cattle always provide quality results. We procure our animals from trusted large dairy herds and heifer growers who purchase young stock, breed them and grow them for clients. These farms practice stringent health programs that ensure the well being of their animals through the use of vaccines and management practices. Through our extensive contacts in the livestock community, we can locate specific genetic demands at the best value for our clients. Our team will arrange the visits and accompany you, minimizing your effort and saving your valuable time. Our experienced cattle veterinarians and the USDA test the selected and donor animals to meet all the required health exams before transportation overseas. Every animal we ship is prepared for its voyage by vaccinating against diseases, establishing parasite control, and practicing good nutritional management. Price is one of the most critical factors to any buyer. The end price of animal genetics is affected by many factors. The most significant factor is that price is relative to the quality of the product you receive. However, when related to live-animals, the cost is also relative to both the services provided throughout transport as well as the health of delivered animals. A1 Exports coordinates with producers, veterinarians, state health officials and quarantine facility managers to ensure the safe movement of animals to the quarantine/assembly point. A1 Exports quarantine stations have proven track records for providing animal care, and their veterinarians have experience in performing pre-embarkation health tests required by importing countries. A1 Exports ensures the process of animal preparation is completed correctly, efficiently and cost-effectively. Veterinary health certificates are the passport for the international movement of animals. Each country has a unique set of requirements which have to be completed with precision accuracy. A1 Exports is skilled in transporting livestock by turcks, ships or by airplane. We are knowledgeable regarding the documentation and transportation requirements associated with each mode of transport. With shipping by sea, A1 Exports provides the feed, bedding, and medical supplies for the voyage. Nutrition is a vital aspect of livestock health, and it is even more critical when the animals are in transit for extended periods. A1 Exports can guide you in the right direction and assist you with import/export insurance. Our livestock knowledge has been crucial to excel in this industry. Import and Export coverage can include quarantine, post arrival, inland transit, and retest coverage for your cattle. Our veterinarian staff has many years of experience caring for animals during transit. Since transit in our ocean vessels can take long periods of time, the health management of the animals is paramount. With our long years of experience, we can complete technical and financial plan to set up a modern dairy farm based on your conditions. Ultimately, we will build your dairy farm as specified and on schedule with our excellent design technicians, experienced project managers, and trained construction crews.